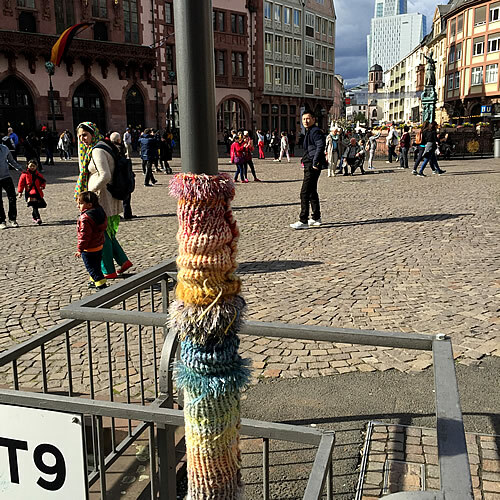 A memory from Frankfurt: walking along the main square, and noticing this piece of guerilla knitting right in the middle of the city. 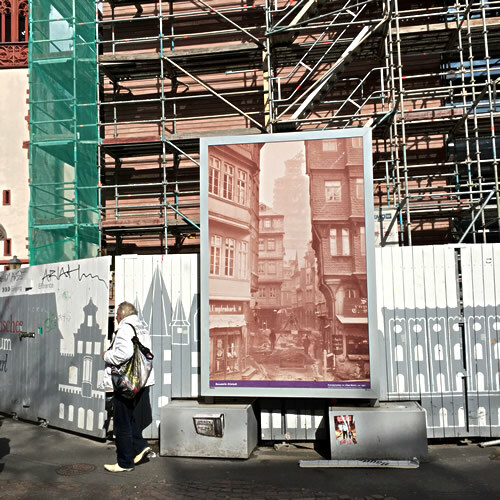 Just some steps further: a construction site, with a photo of the same place, after the war. So much has happened in the last 60 years. So much keeps happening. I guess I always thought Frankfurt as a bustling city, the old photo gives you pause. Love the guerrilla knits.